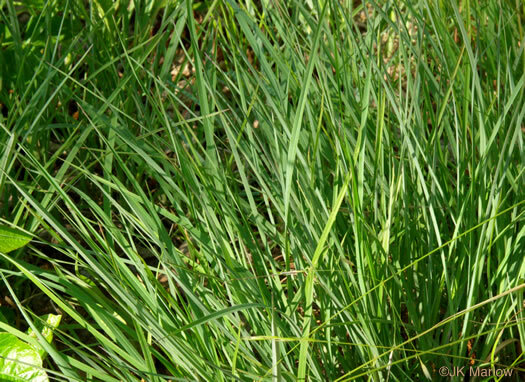 Leaf blades linear, 8-14" long at maturity, initially light green, per Wildflowers & Plant Communities of the Southern Appalachian Mountains and Piedmont. 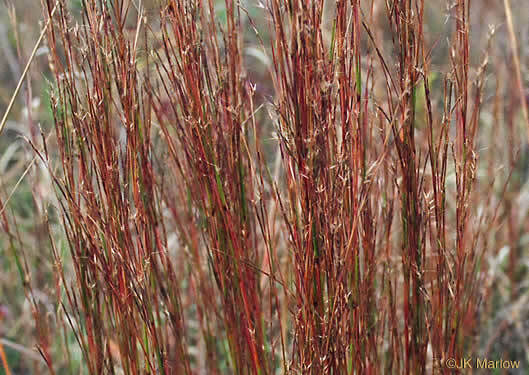 Turns a reddish to golden brown in fall & holds this color well into winter, per Gardening with the Native Plants of Tennessee. 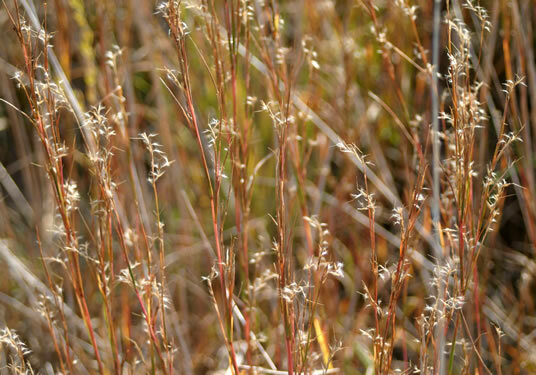 Stems solitary or forming small clumps, per Wildflowers of the Sandhills Region. 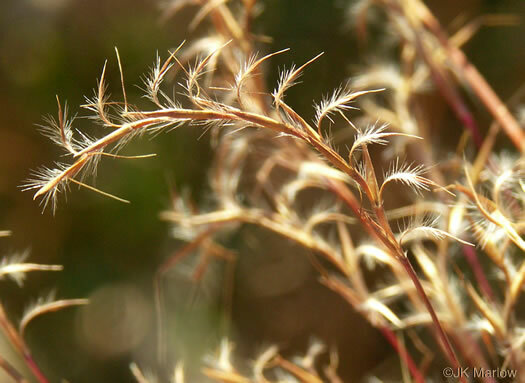 Flower spikes are solitary from long stalks at intervals along the stem, per Wildflowers of the Sandhills Region. 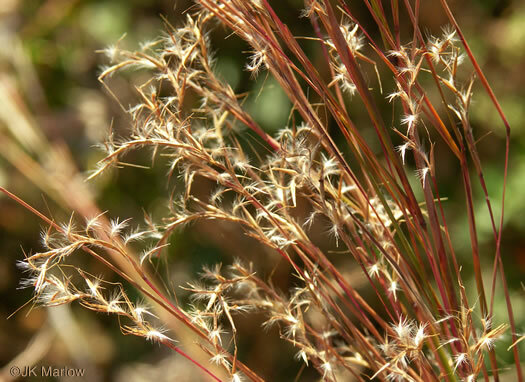 A true bunch grass, with few to many roundish stems in clumps, per Forest Plants of the Southeast and Their Wildlife Uses. 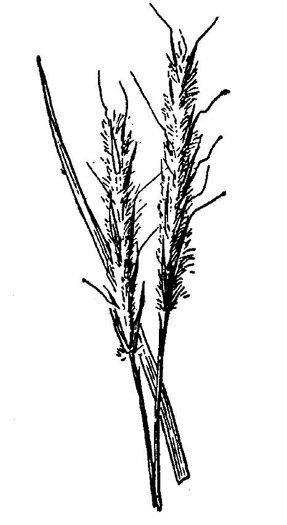 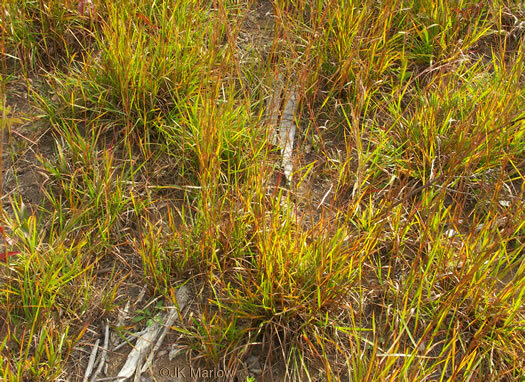 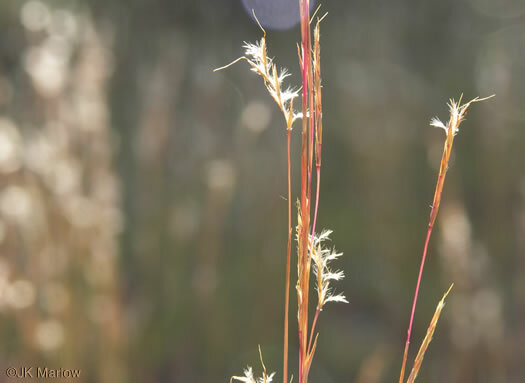 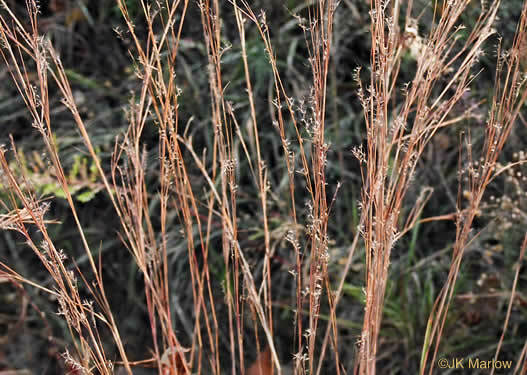 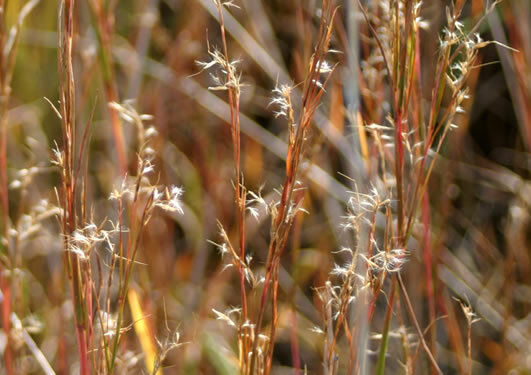 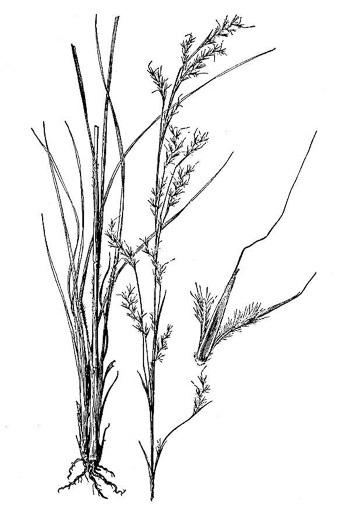 Racemes 3-6cm long, mostly curved, per Manual of the Grasses of the United States. 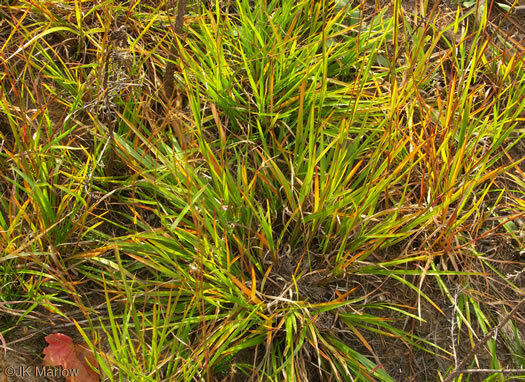 Schizachyrium's spikes not split into two racemes, like those of Andropogon, per Wildflowers of the Sandhills Region.